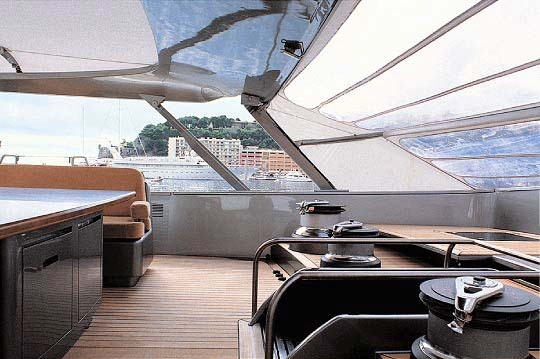 Wally ‘B’ has a large central cockpit which comfortably accommodates six to eight charter guests around the large teak table. 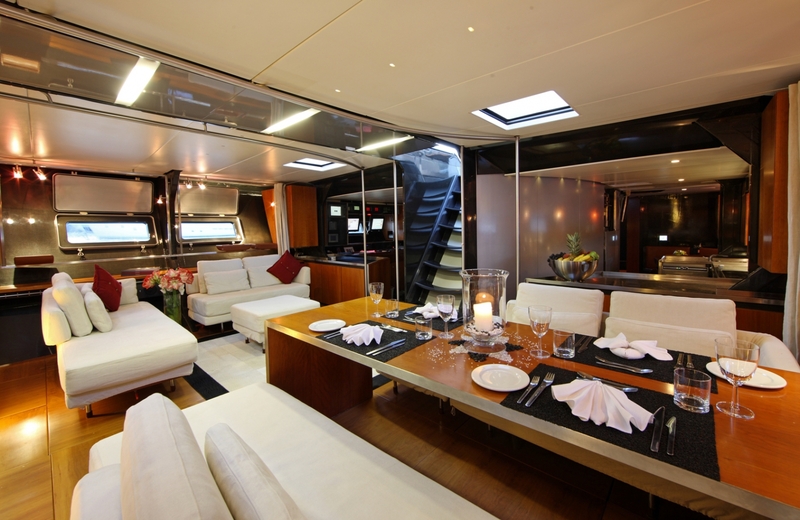 There is also plenty of room for another four guests aft of the main helm stations. 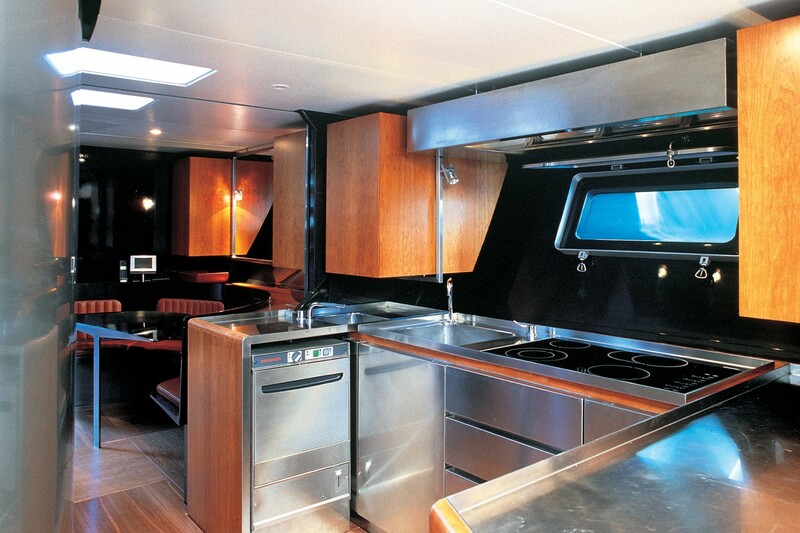 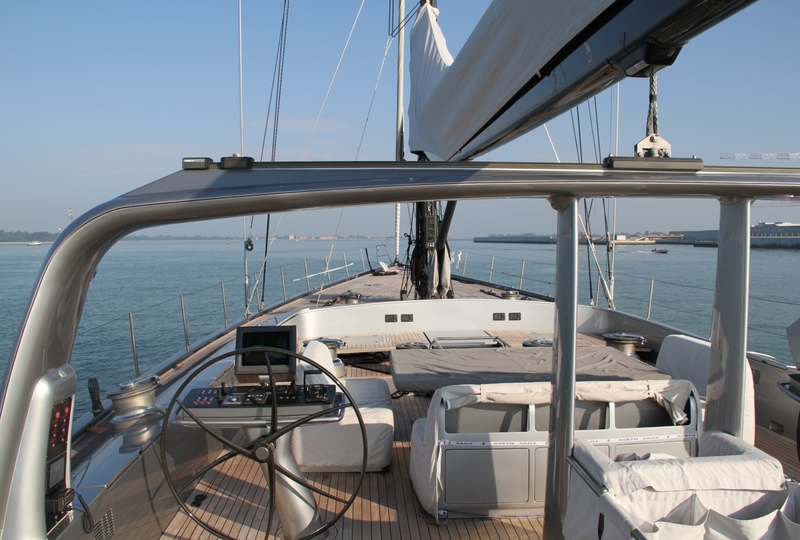 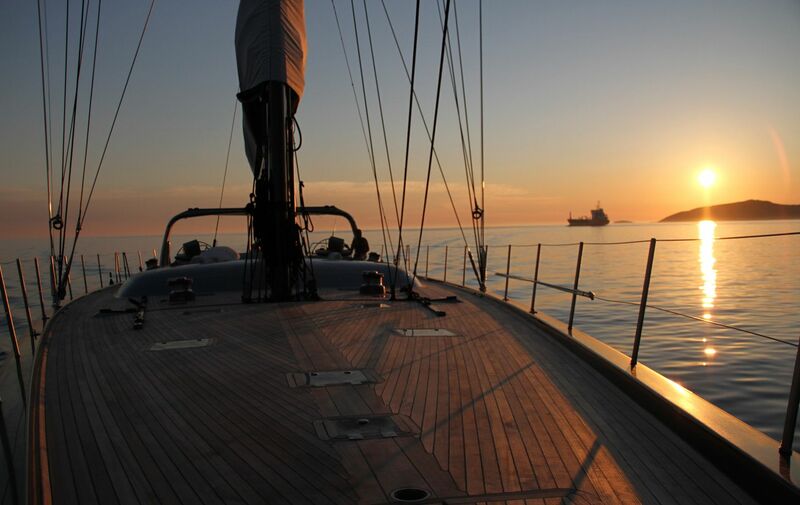 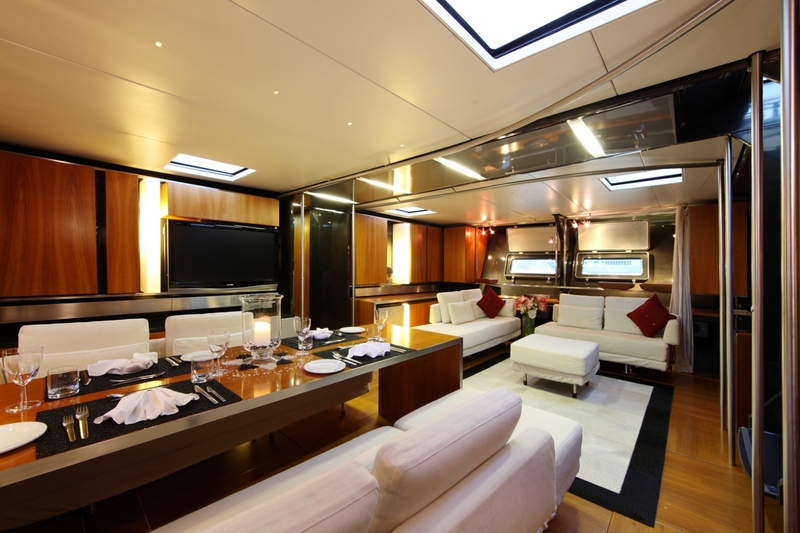 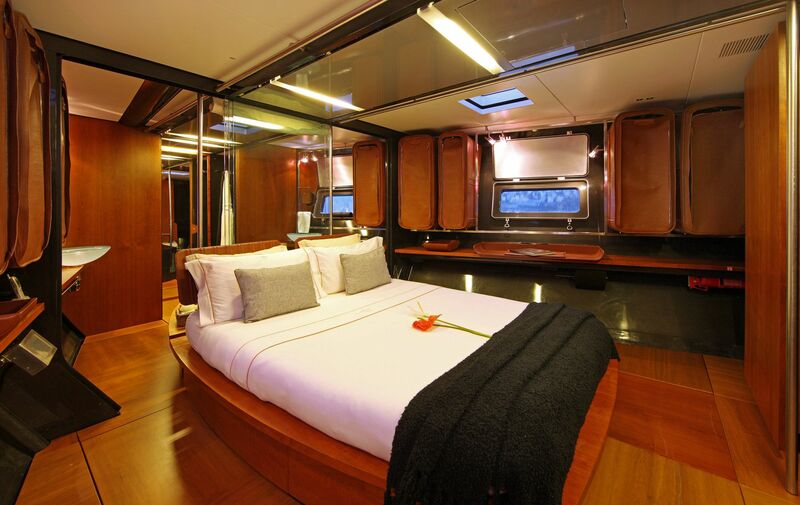 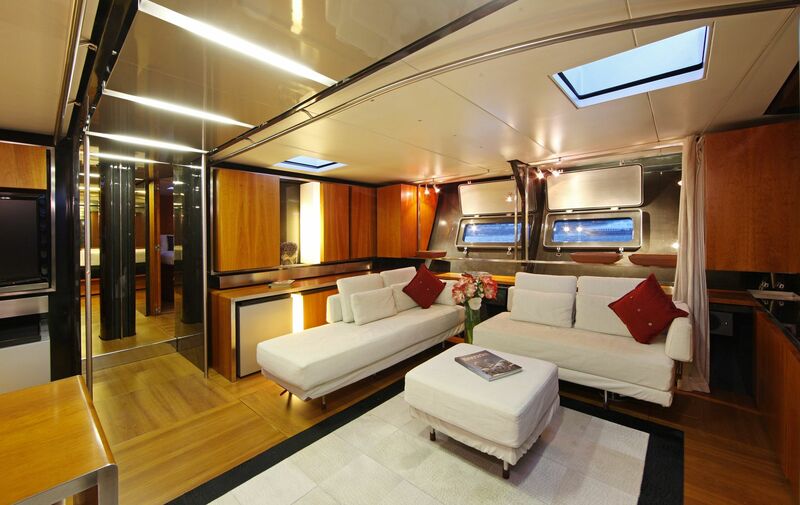 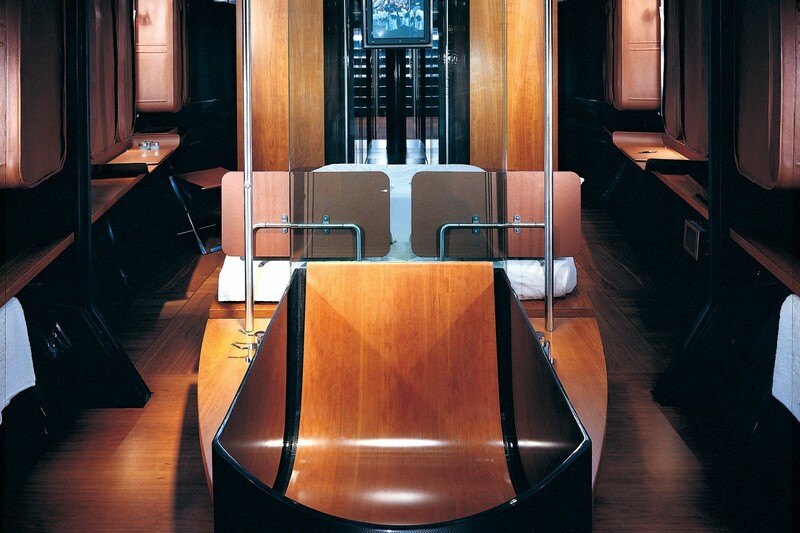 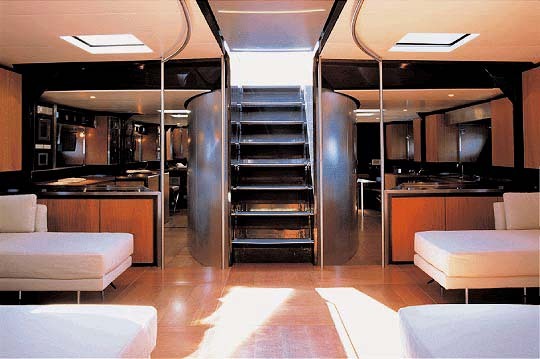 The yacht has been cleverly designed so the track arch leaves the cockpit and social areas on deck completely uncluttered, spacious and free of any danger. 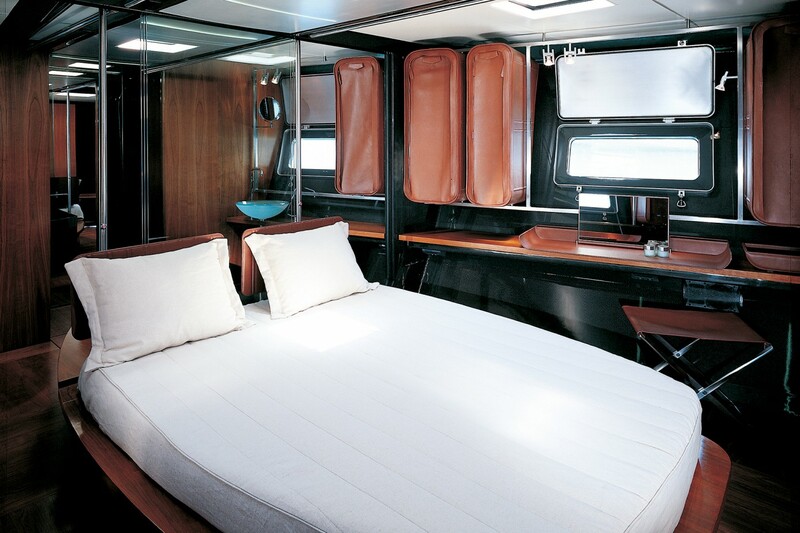 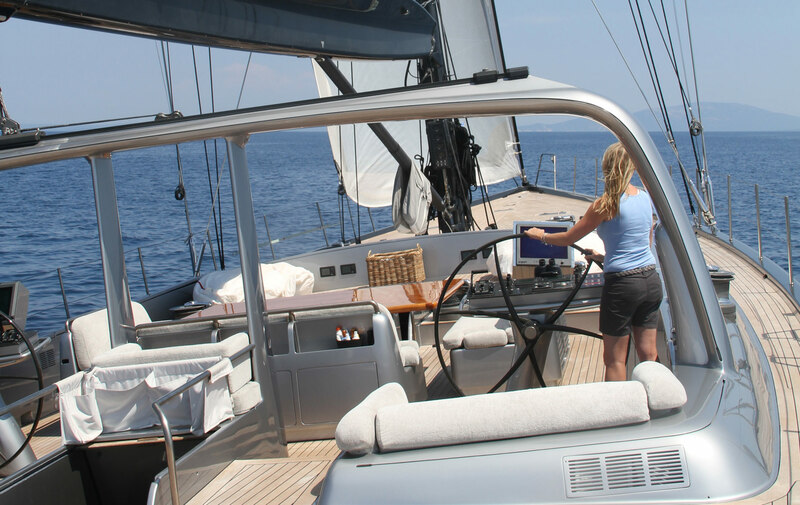 One of the great features of Wally ‘B’ is the ‘Shelter’ which is a completely automated bimini top – similar to convertible automobile roof - which has been brilliantly conceived to provide sun and wind protection for the cockpit. 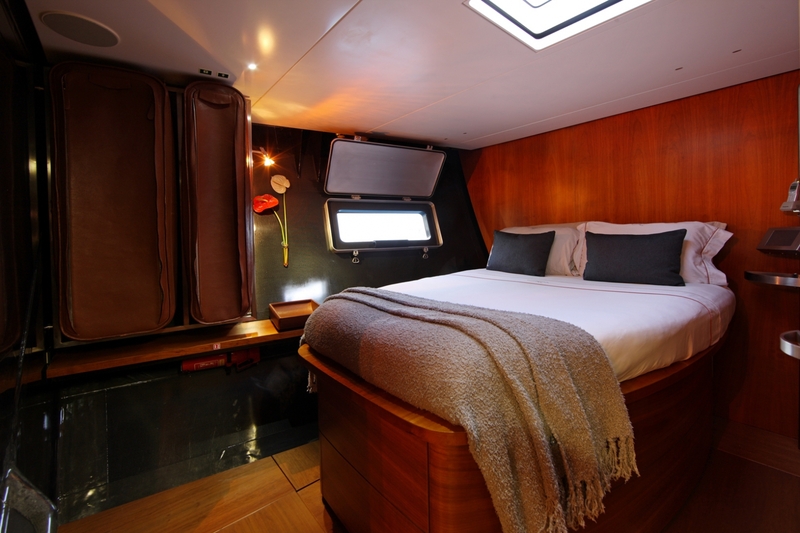 The ‘shelter’ automatically deploys from where it is stowed neatly in the coaming, at the touch of a button. 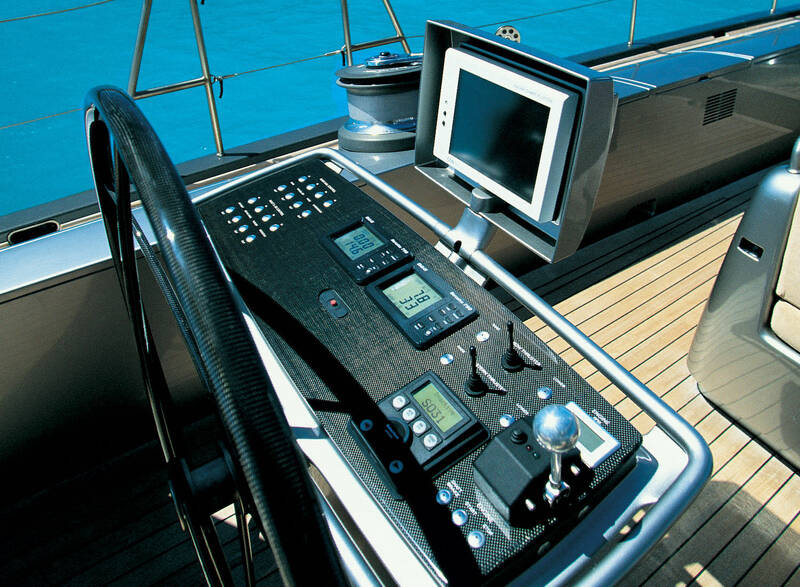 Her twin wheels and helm stations also have instrumentation pods and radar-chart plotters. 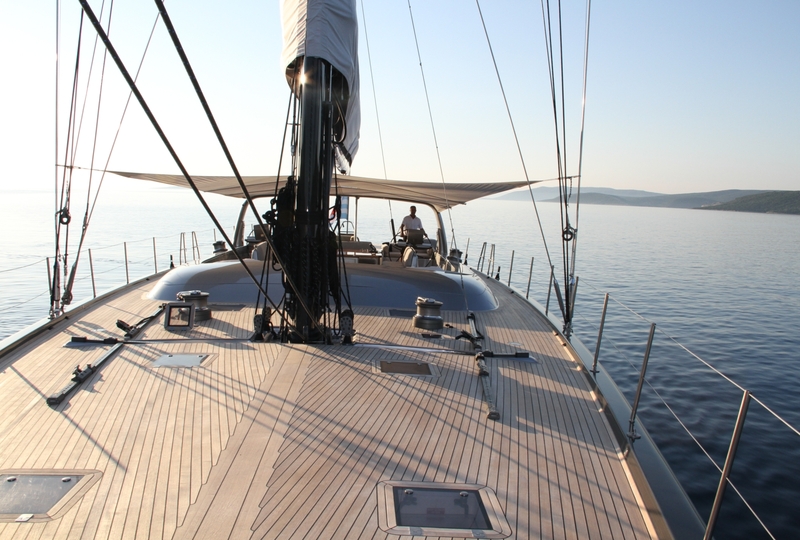 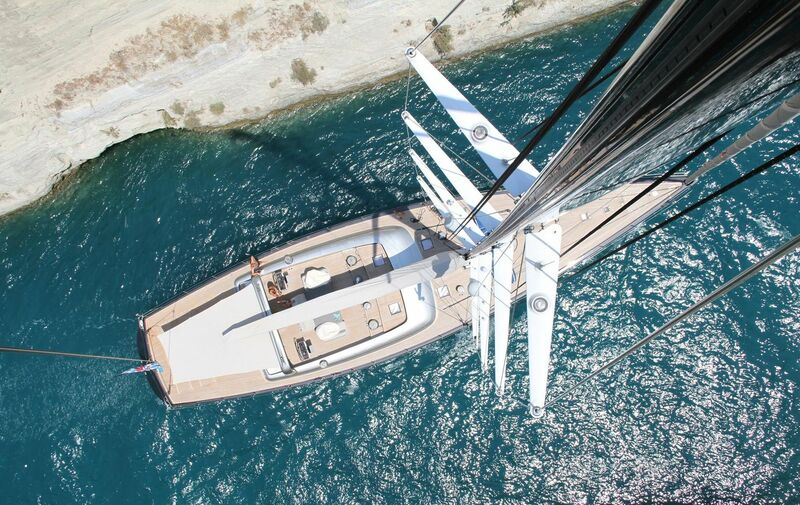 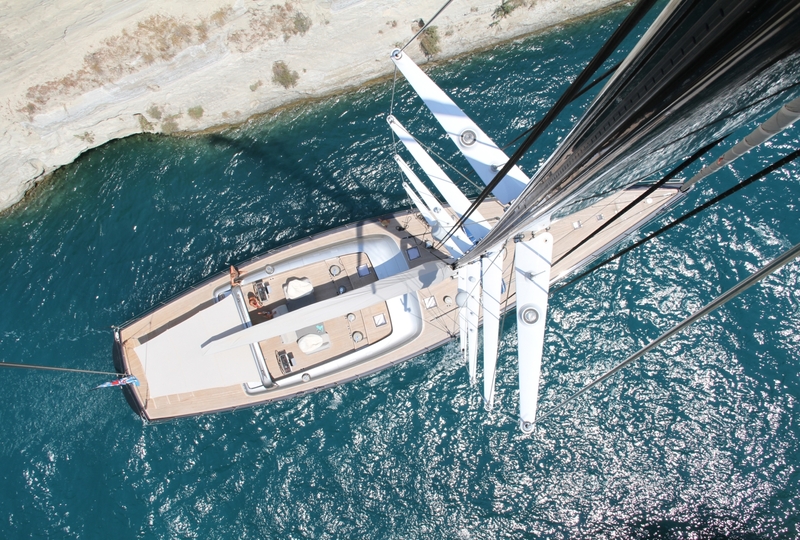 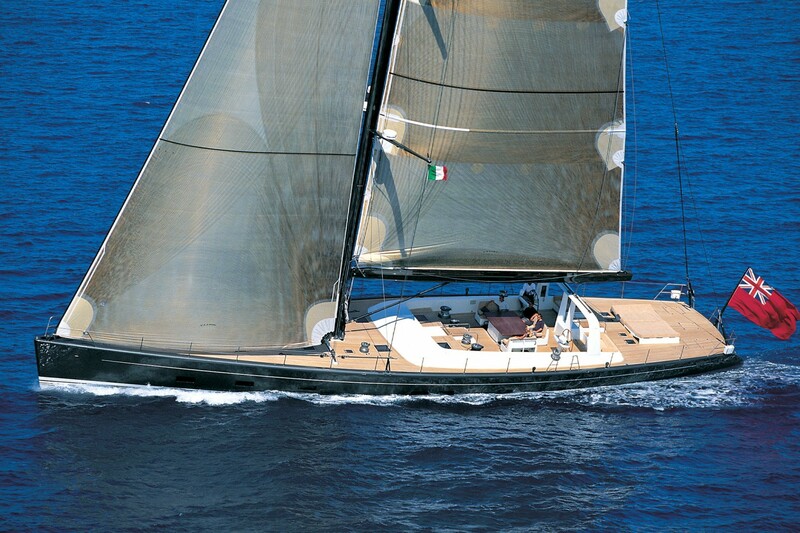 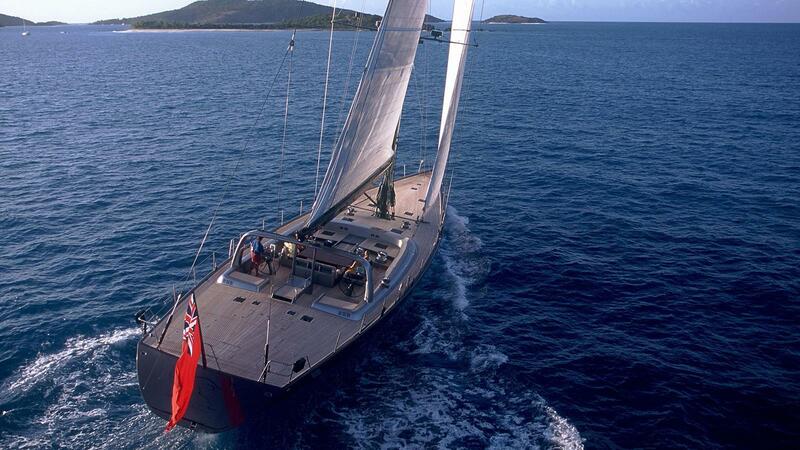 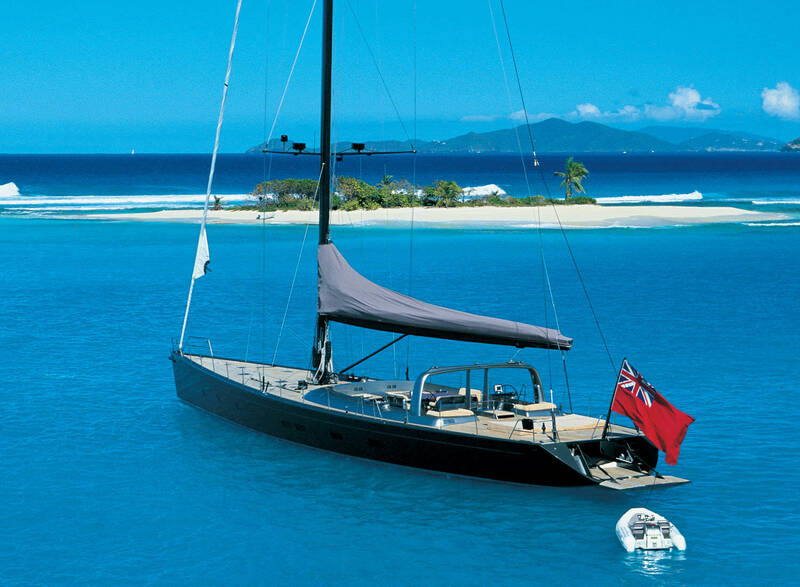 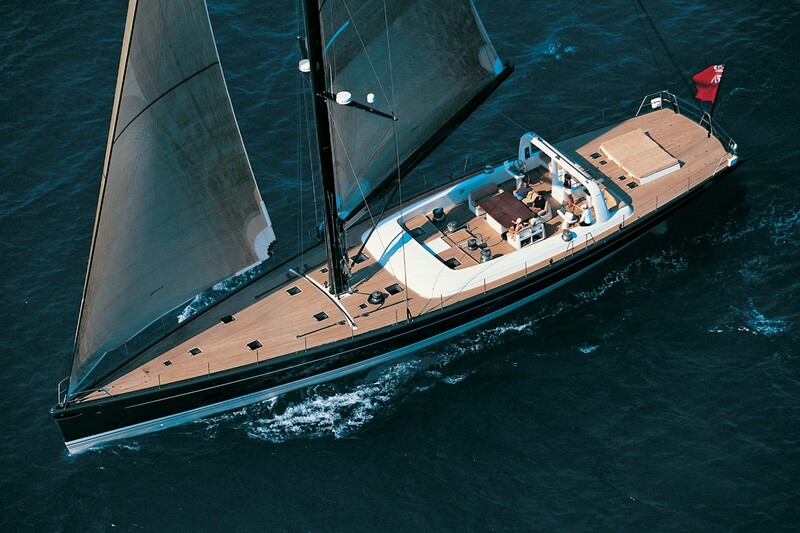 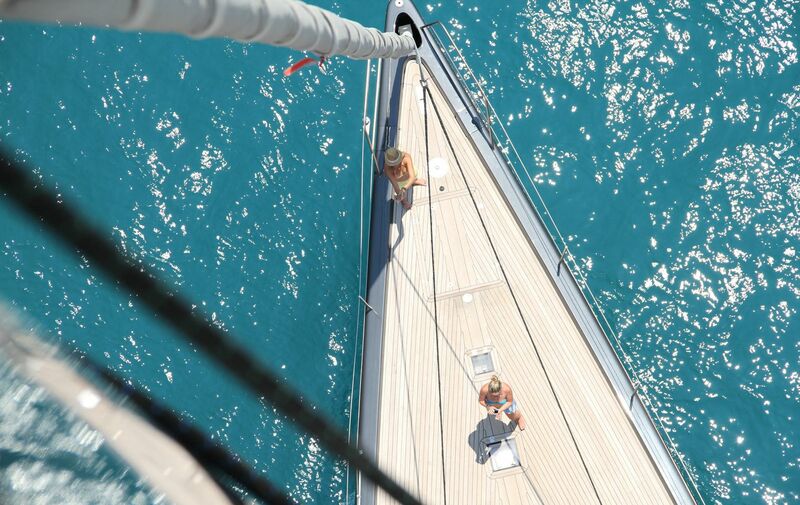 Wally ‘B’ has exhilarating speed and windward sailing performance and an 11-foot (3.3-metre) retractable bowsprit. 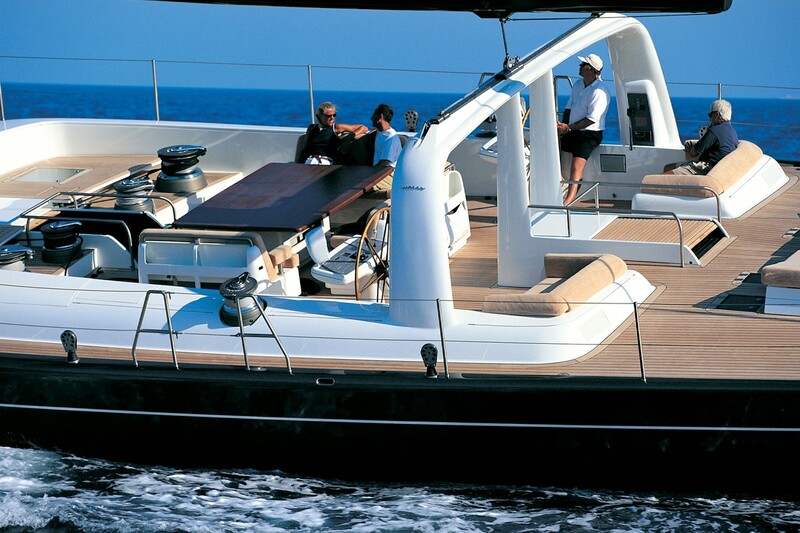 Tender: 4.2 m Custom Nautica with 120hp jet. 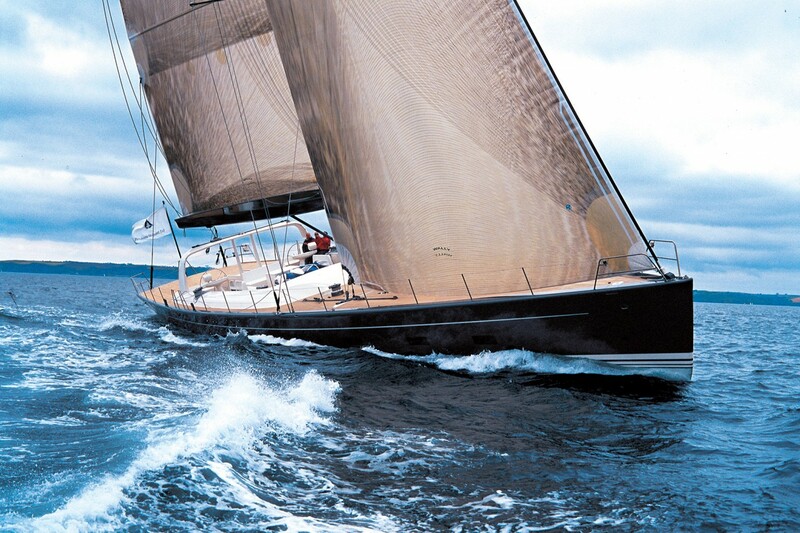 Water maker. 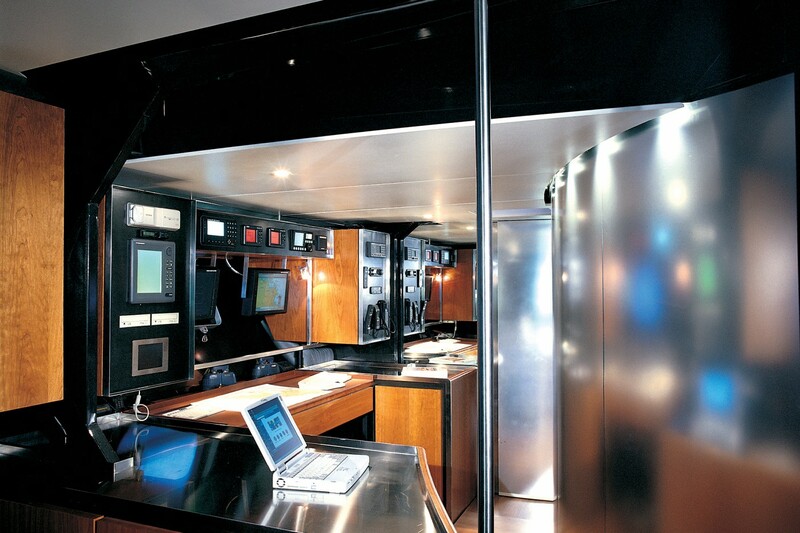 SatCom and world phone. 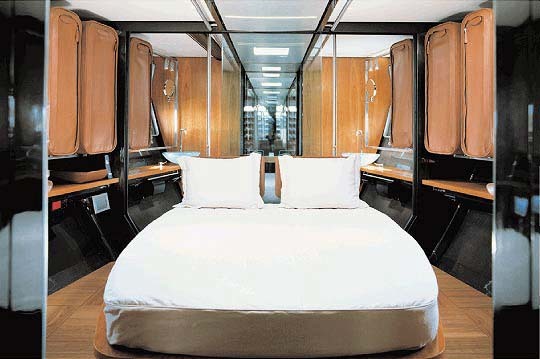 Gibson hi-fi sterio. 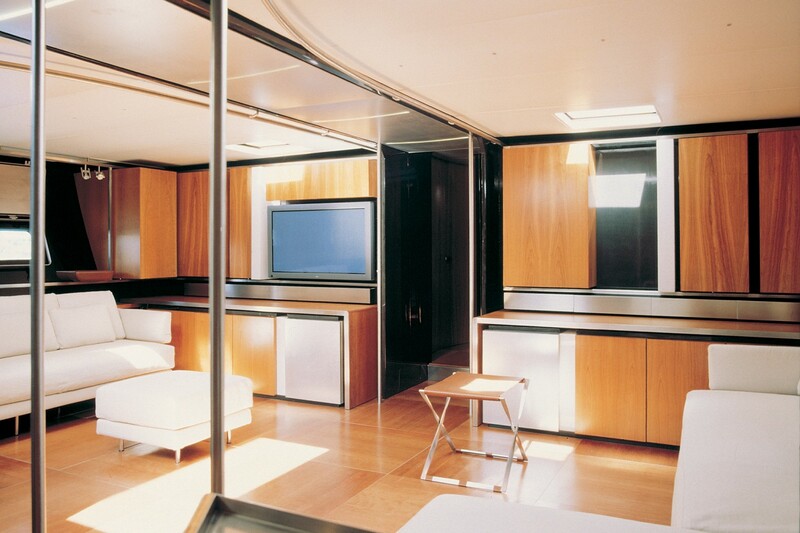 Fujitsu TV with 2 plasma screens. 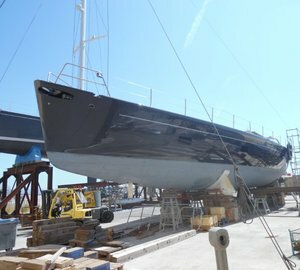 Stern & bow thrusters.